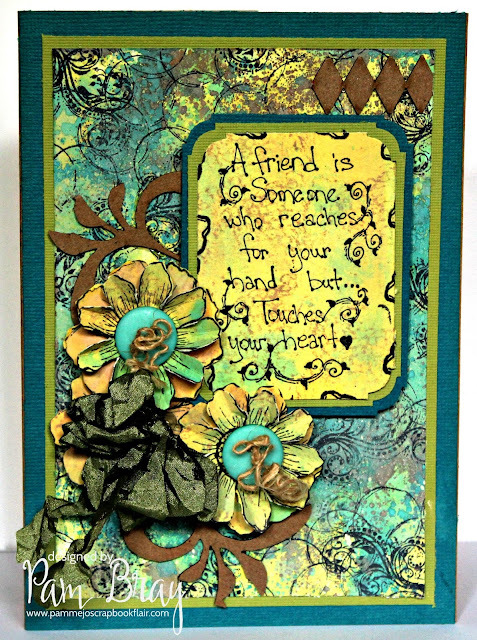 Today I am sharing with you my "True Friend" Card using Ranger Distress Oxide Inks along with two sets of my stamps from Sin City Stamps. Begin by applying the distress oxide inks to a craft sheet; mist with water. Gently dabbing card stock to the wet mist. Continue to do this with the distress oxide inks until you achieve the color of background you would like; drying between colors. This will create your background base for your card. 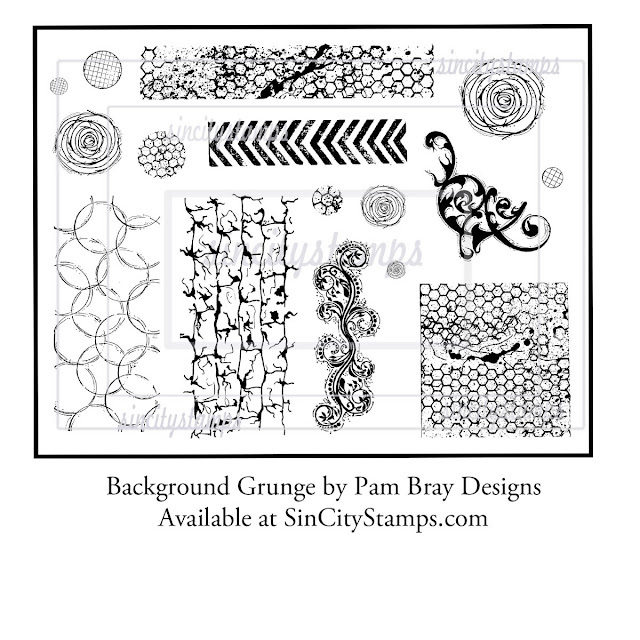 Stamp with Sin City Stamps Grunge Background Stamps using the Black Soot Distress Oxide Ink. Spatter with Titan Buff Paint; dry. 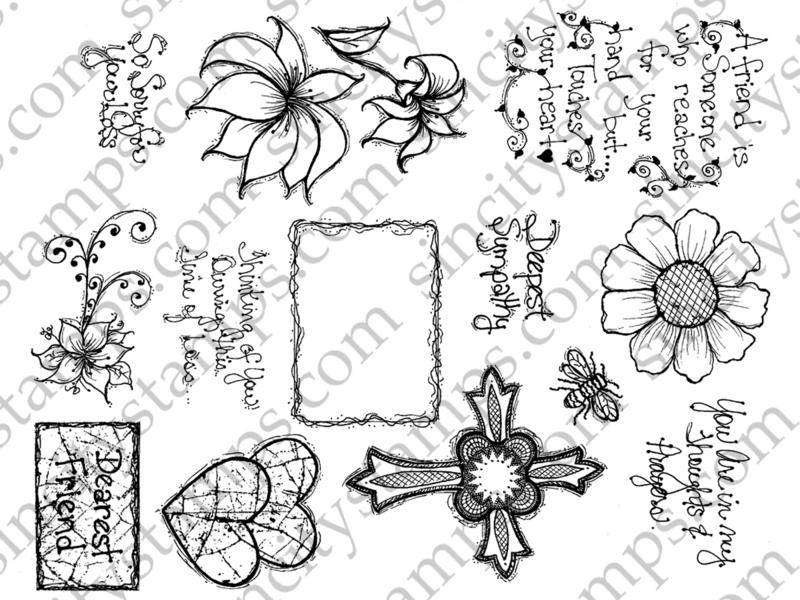 Adhere prepared background to card stock mats and card base. 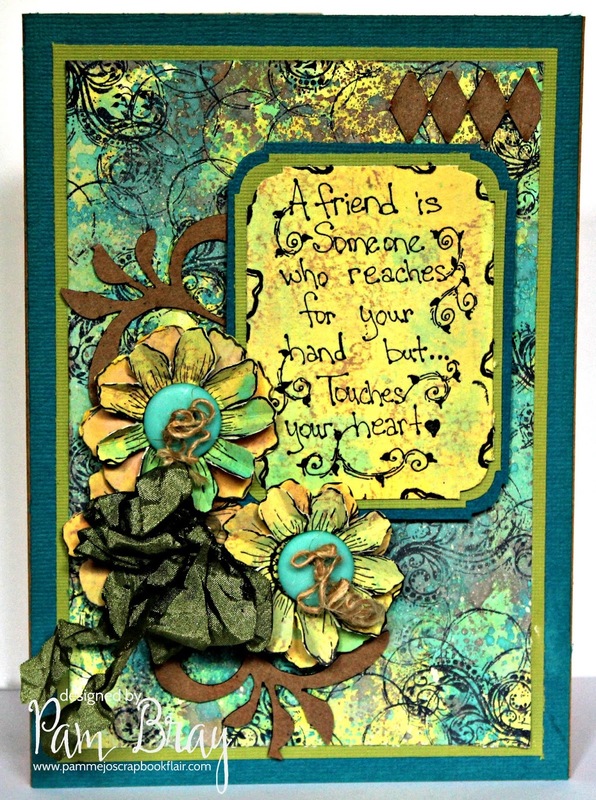 Repeat same method as background to create pretty distress oxide ink paper for flowers and sentiment. Stamp flowers and sentiment from Sin City Stamps Sympathy Set to prepared card stock. Corner punch prepared sentiment; adhere to card stock mats. Fussy cut stamp flowers; layer together. Adhere to front of card base. Add buttons to top along with bow and chipboard pieces. 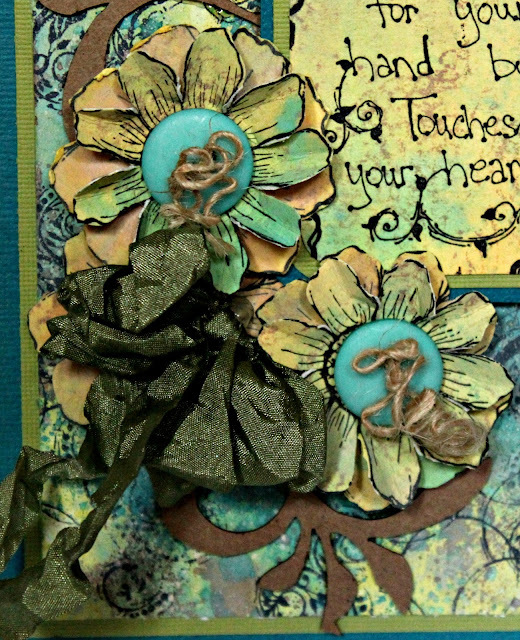 I hope you enjoyed my tutorial on how to use Ranger Distress Oxide Inks with SinCity Stamps. I hope you stop by the SinCity Store to not only check out my stamp collection but to see all the fabulous stamp products that are available.